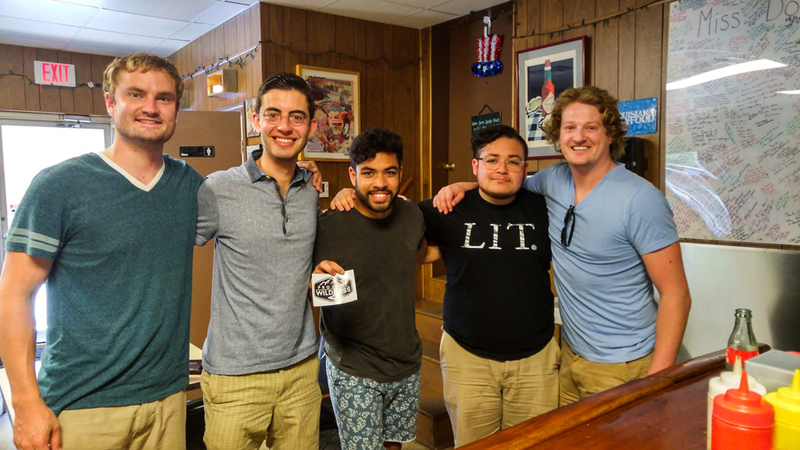 Not far from the bright lights and late nights – the ever changing tapestry of entertainment, self-indulgence, and glorified debauchery that is Bourbon Street – sits an unassuming sandwich shop. 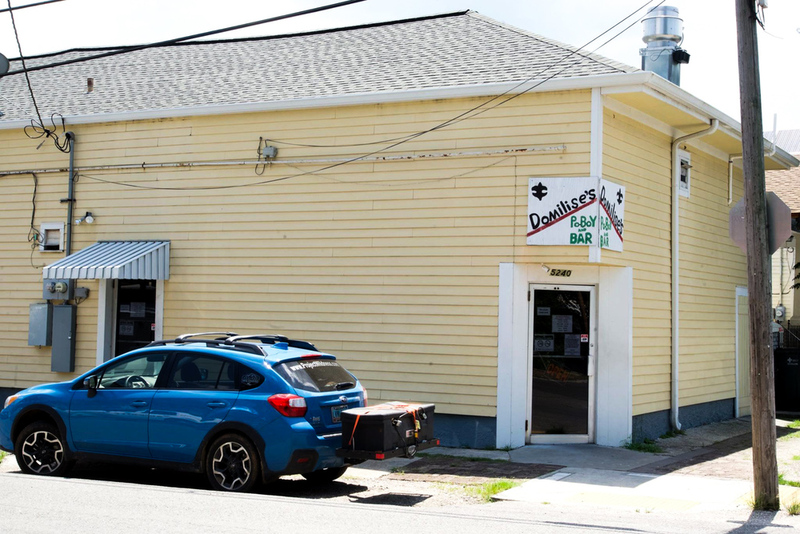 Tucked away in a quiet New Orleans, Louisiana, residential neighborhood is the world famous Domilise's Restaurant. In stark contrast to the flashing neon and pushy hosts found at every door on Bourbon Street, a simple, hand-painted sign marks the door to Domilise’s. Who needs the desperate allure of a popular tourist attraction when your regulars include the likes of Peyton Manning and Anderson Cooper – not to mention the unanimous approval of celebrity chefs like Anthony Bourdain, Emeril Lagasse, and Rachael Ray. Hungry for some southern cuisine, Nate and Shane set out to find a New Orleans staple, the PoBoy sandwich. Domilise’s was the place to be, and as we waited our turn to order we couldn’t help but take in the atmosphere. Two ladies worked the kitchen – a simple setup including a fryer, a grill, and a prep station. Another woman tended the bar along the far wall – chatting up locals and welcoming newcomers. Similarities to small-town Minnesota café’s were found everywhere and the patrons were just as friendly. After ordering two “Off the Menu Specials” – a shrimp PoBoy with Swiss cheese and roast beef gravy – we claimed our seats at the bar and let the conversations ensue. 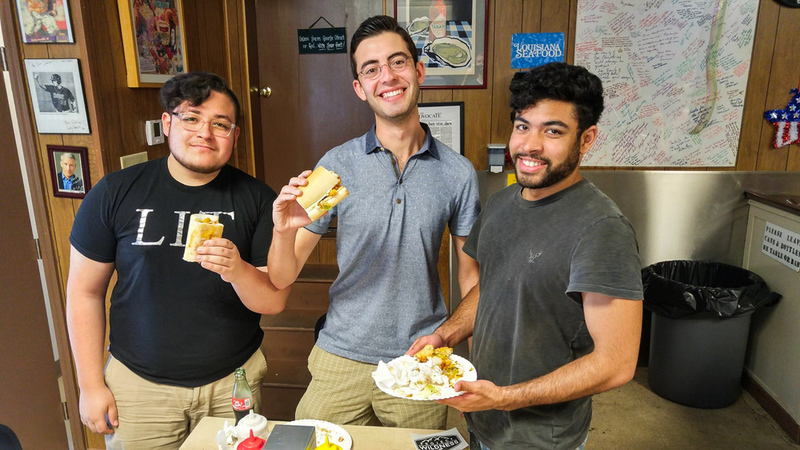 Everyone had a story to tell and as customers came and went we started to realize that this sandwich shop was more than a mere food establishment – it was an integral part of the community. Between the cooks, the bartender, and some proud patrons, we got the full history of Domilise’s. A family business that started in 1918, Domilise’s has been passed down through the family and now on the fourth generation of ownership. 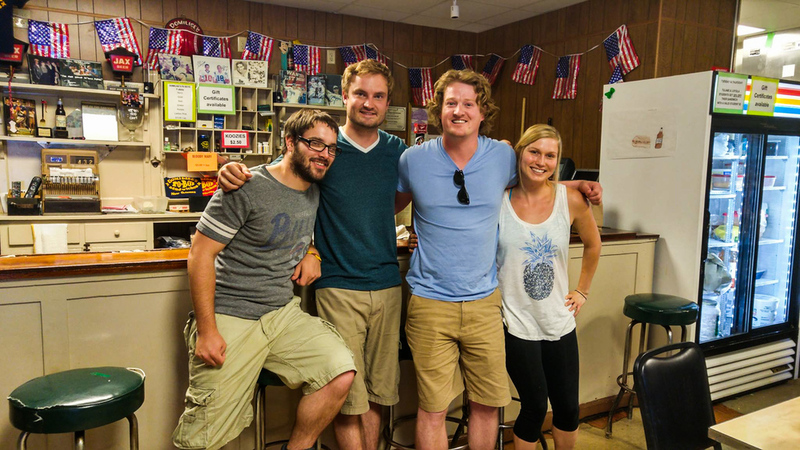 The shop’s dedication to the community is only matched by the loyalty of their customers. As Debra started adding up the stack of tickets, Mary Lou told a customer at the counter, “This young gentleman is paying for your meal.” The customer walked over to Shane to thank him and give him a hug. Other customers slowly realized their tabs had been covered and were quick to talk to Nate and Shane about the kind deed. Not a single person left without a hug, handshake, or personal thank you. A group of young college friends visiting from out of town found great interest in our travels and stories. A boy and his younger brother were equally enthralled with our story and incredibly grateful of their free lunch for the day. Each table was a different group with different faces and stories, but they all shared the same gratitude. Partway through totaling the bill, Debra looked up at Shane and said, “It’s going to be over $100. Are you sure you want to do this?” Again, Shane simply answered, “Yes. I’m sure.” Debra shook her head in amazement and went back to calculating. “This type of thing just doesn’t happen here,” she said diligently working. We visit many different cities and towns – all with their own customs, traditions, and values. Whether it’s their “funny” accent, beliefs, or skin color, the differences are noticeable on a superficial level. It takes genuine interaction to discover at the core we all share the same desire for a strong community of friends, family, and tradition. We found that connection at Domilise’s like the many before us and the many who will come after. Over all that separates us, community binds us together. To Pitas in Paradise… While sitting in Domilise’s I couldn’t help but think about how similar it was to Pitas in the way that you create such a strong connection with the community of Crested Butte, CO. Whether it is encouraging local musicians to play on open mic night or local poets to pour their heart out to the world, you create community. Nate and I can’t thank Shannon and everyone at Pitas enough for your support and love. When we walk through the door at Pitas, it is like coming home and all our family is there to greet us! Today you bought lunch for great people at an equally great establishment. Thank you for all that you do and keep doing good!